Nigerian authorities have arrested two suspected Boko Haram members who were found travelling with a young girl with explosives attached to her, the Nigerian government has announced. 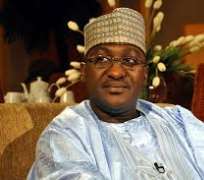 According to government spokesman Mike Omeri, the two suspects had been travelling with the girl in a Honda CRV car heading towards Katsina state in the north of the country. He said that after being stopped, the young girl had a high level of explosives strapped to her waist. Following the discovery, both men tried to escape but were quickly caught and arrested. The news of the interception of the girl came on the same day that two students were killed and eight more were injured in a suicide bombing at a university in Kano in the north west of Nigeria. On Wednesday, Nigerian news website Information Nigeria reported that a female student had blown herself up at Kano's Northern State Polytechnic. According to reports, students were checking their National Youth Service Corps results, when the student decided to detonate the explosives, dying instantly and killing two others. A report in the Los Angeles Times said that this attack was the fourth female suicide bombing in the Kano region in a week, with each one reportedly linked to the terrorist group Boko Haram. On Sunday, a 15-year-old female blew herself up near a temporary university site, resulting in five police officers suffering minor injuries. On Monday another female suicide bomber detonated a bomb that killed at least three others as they queued to buy kerosene. This was followed a few hours later by a suicide bombing in a shopping mall, involving an 18-year-old woman.